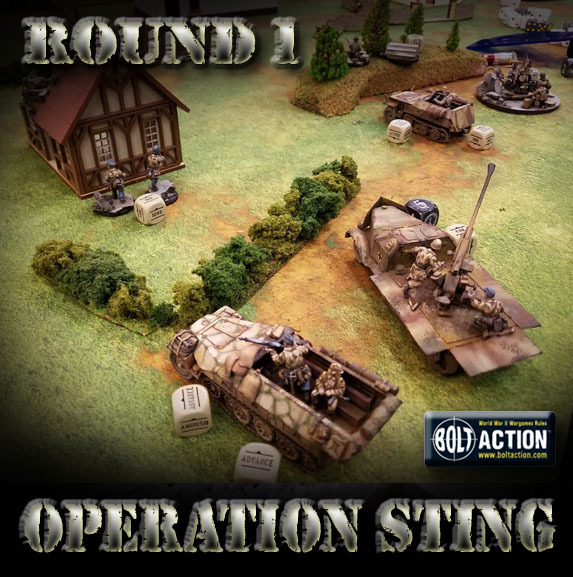 Operation Sting was really an amazing event! 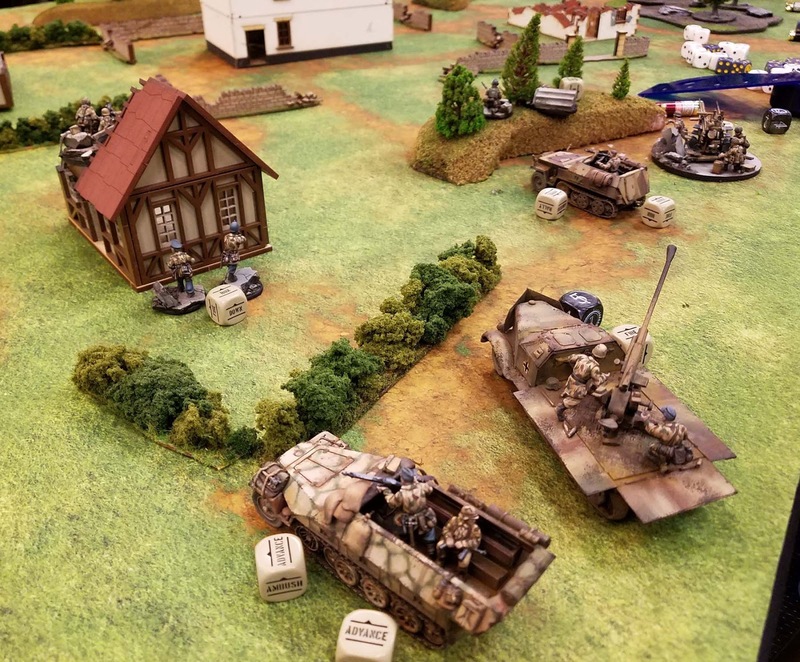 Two days, 5 games, and lots of action... Bolt Action. 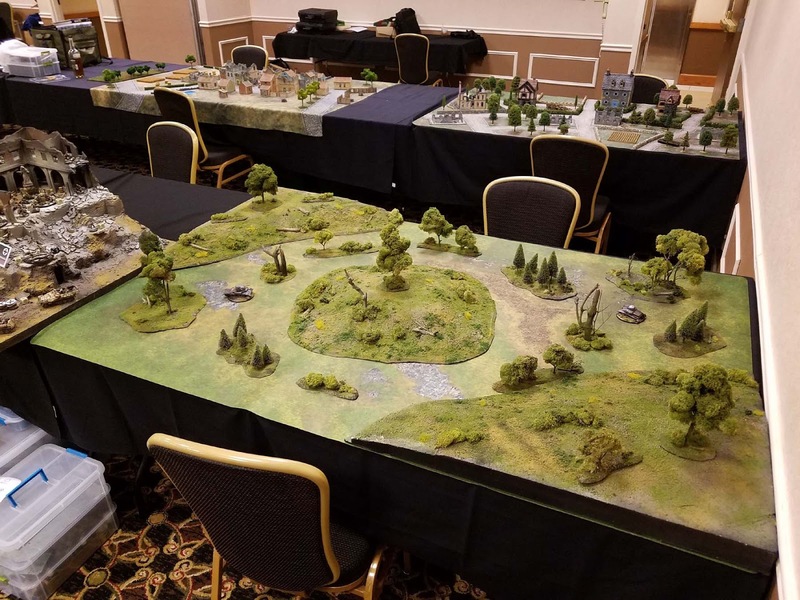 As I had mentioned in a previous post, many of the players brought their terrain tables so that it spread the work load and created more variety in the types of terrain. 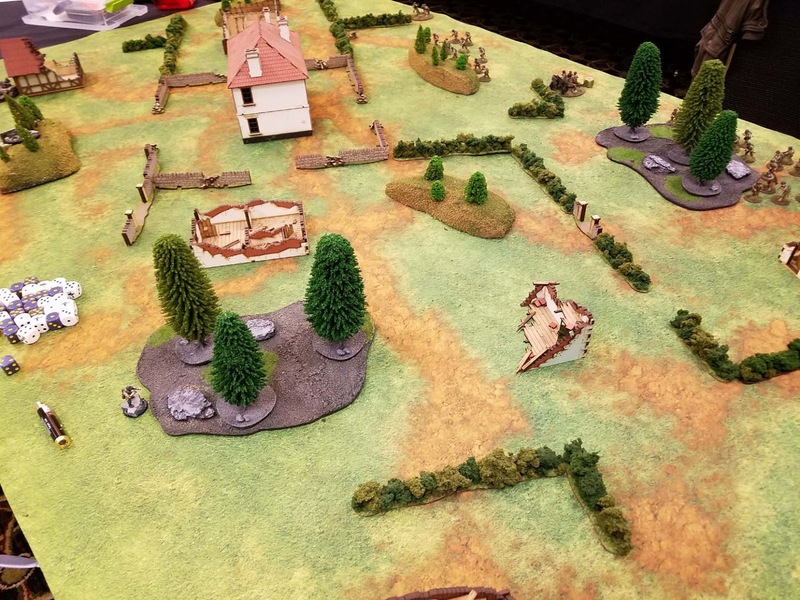 This is my Ardennes board which I brought along, with the TableWar mat. 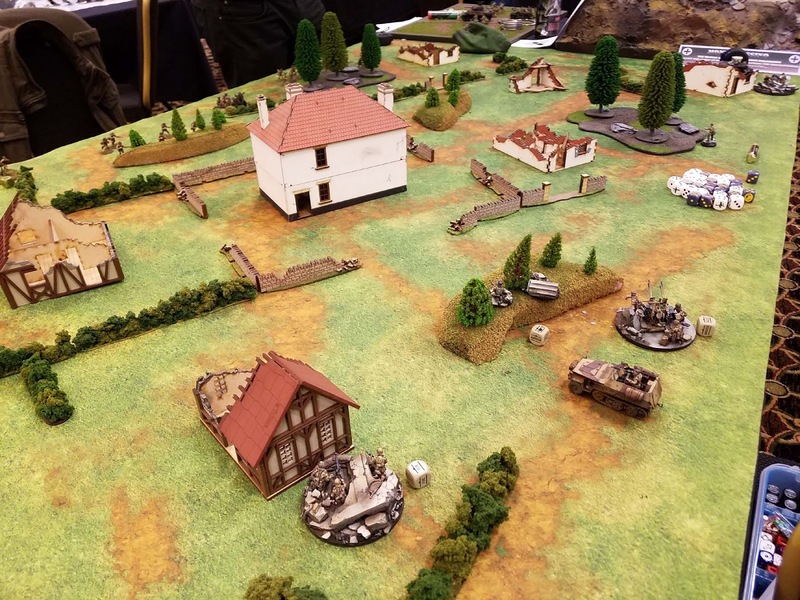 I played virtually all of my games against US armies, and that was the case for Round 1. This seems deceptively open. 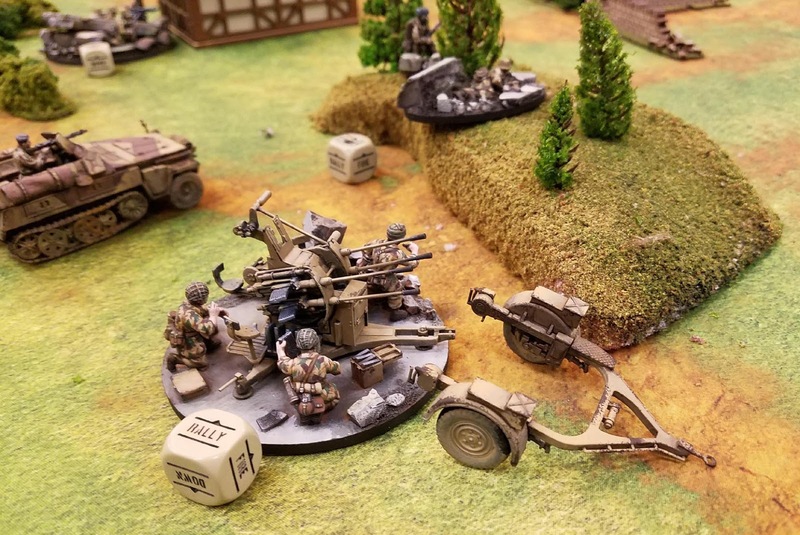 Keeping in mind that forest are dense terrain, as are ruins and buildings, I knew that the anti aircraft based weapons would not be doing very much. This turned out to be the case. 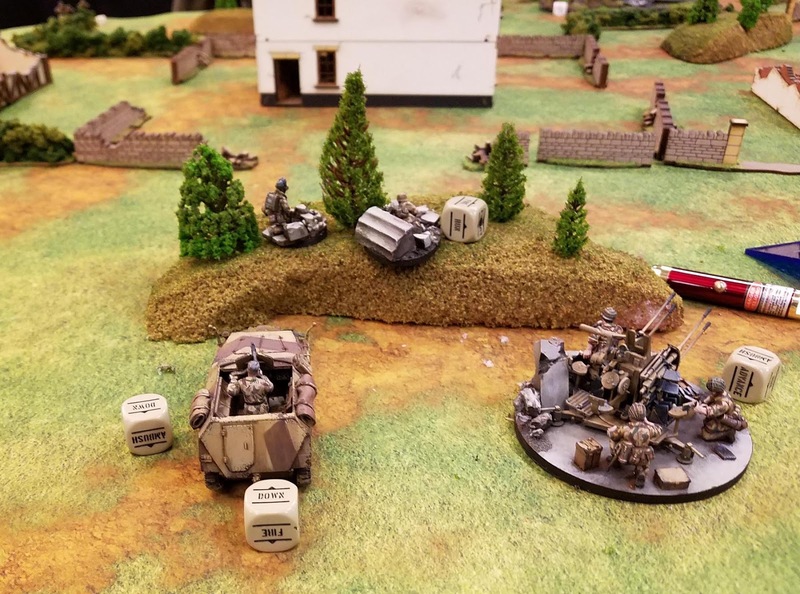 Most of the time the Quad AA was in ambush, and the mobile heavy autocannon was in reserve off board. 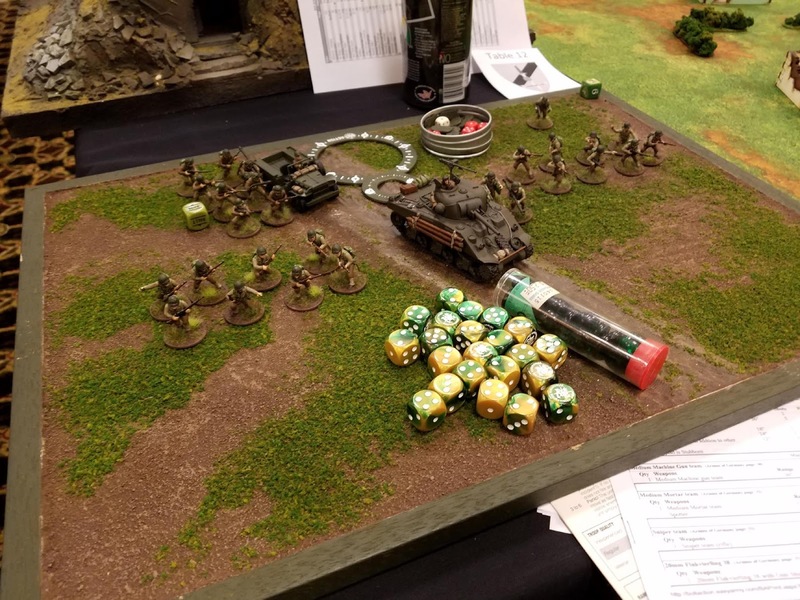 I knew that for the tournament, I would be relying on the Fallschirmjager to come in from reserve, even though there were not very many of them! When the heavy autocannon did arrive, it could dictate where the Sherman would pop up. Again, the ambush game applied. The scenarios were out of the book, but with a key twist. Each game, you had to choose a "Secret Mission" and attempt to accomplish it. You had 8 to choose from, and each time you made a choice, that was no longer available for the tournament. Each mission also had 3 levels... a 5 point, a 3 point, and 1 point. In effect, these were the critical tie breakers. You would get 20 points for a win, 12 for a draw, and 5 for a loss. So, getting the full 5 points could really help with a draw, and even a loss. As the missions were secret, it was very difficult for your opponent to prevent you from getting them, unless you were very obvious! 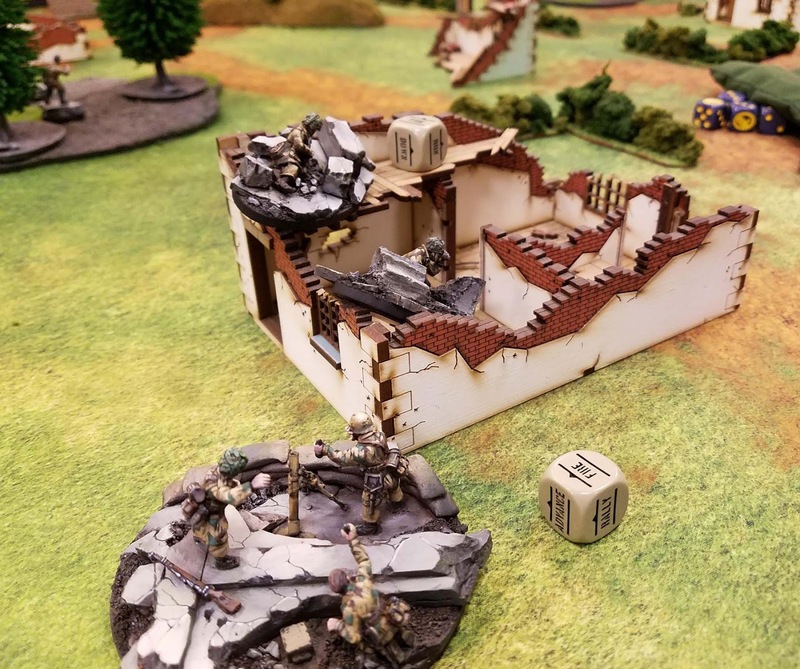 My secret objective was to hold a few pieces of terrain, and keep the enemy away. There were more obvious missions, which will be covered later. Also, I can say the aligning your secret mission with the Table, Scenario, and Enemy force was a challenge! Speaking of scores, Round 1 ended as a draw, and I did manage to get my 5 points. That meant 17 for the first game. I may have mentioned once or twice that I was totally unfamiliar with this army, with no time to play test it at all. In fact, I had not even played a game in months. And that was my usual early war! I had to make cheat sheets for the army, so that I could identify each unit easily. Most of the weapons that I had seemed like science fiction compared to the basic rifles which I had been using all along. Stay tuned for more, as I take you through 5 rounds of action! !